When Adam Chvilicek was a sophomore, he participated in the Appalachia seminar through the Center for Social Concerns (CSC). Thinking it would merely be a fun way to spend his fall break, Chvilicek ended up leaving — and wanting more. “I ended up really liking it and wanted to get more involved. Just being there a week, you could not really contribute that much or actually make a difference in any way. Just as you’re getting to know a place, you have to leave,” said Chvilicek, a Wenatchee, Wash., native. 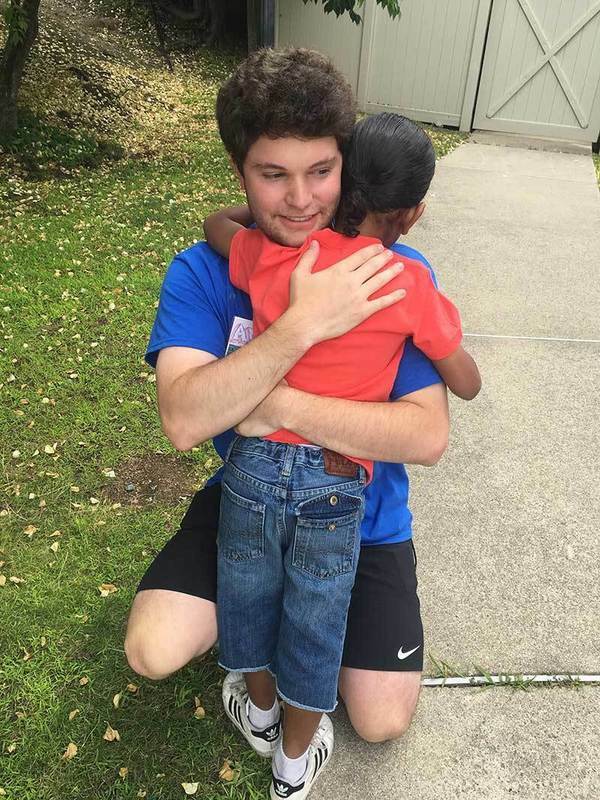 Now a senior science-computing major, Chvilicek returned to the Appalachia region for two more service-immersion seminars, and discovered the CSC’s Summer Service Learning Program (SSLP). He wanted to find a site where he could explore his interest in medicine while also being in a new environment. This past summer the program led Chvilicek to the Boston Health Care for the Homeless Program (BHCHP). Serving more than 12,000 men, women, and children every year, the BHCHP provides comprehensive health care to people experiencing homelessness in more than 60 locations in the Boston area. Serving with Chvilicek was senior Delaney Weiland, a neuroscience major from Madison, Wis. Like Chvilicek, Weiland also has an interest in pursuing a career in medicine, and was inspired to take part in her second SSLP experience after completing a CSC seminar at the André House of Hospitality in Phoenix, Ariz., in fall 2017. The House of Hospitality is a nonprofit organization that ministers and provides basic services to persons experiencing homelessness. “I learned a lot about vulnerability, and how insane it is to have your whole life exposed to the public without having any control when you are experiencing homelessness,” Weiland said about her time at André House. “I realized that is a population that is so brushed under the rug and ignored, and I wanted to be more involved in that.” Like Chvilicek, Weiland also has an interest in pursuing a career in medicine and viewed serving with the BHCHP as a great way to combine her interest in medicine and the issue of homelessness. Throughout the summer, Chvilicek and Weiland split their time between two sites. Two days a week, the pair worked at St. Francis House, a foot-care clinic for those experiencing homelessness. “The goal is to provide continuous health care to the homeless population. Instead of a homeless person seeing a different doctor each time they have a problem, they have more of a primary care physician so that they see the same doctor every time they come in,” Chvilicek said. Consistent health care is important because it allows for the formation of a real relationship founded on trust, which can ultimately improve the health care these patients receive, he noted. “Once that trust is formed, they’ll open up if they have any issues they are being bugged by. They’re more willing to get shots or come to the clinic to be checked out,” Chvilicek said. The other three days of the week, Chvilicek and Weiland were at the Summer Health Enrichment and Education Program (SHEEP). Based in a hotel converted to house families experiencing homelessness, SHEEP allows parents to leave their children in a supervised setting. While parents have to remain in the hotel, they can have time to themselves or visit the health clinic inside the hotel. 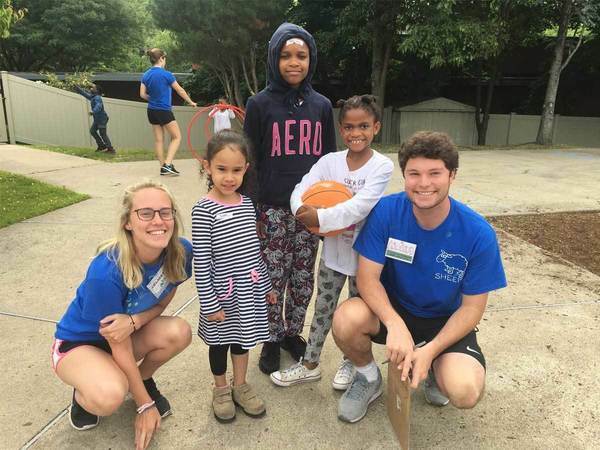 The program operates like a summer camp, and during the day, the children rotated through three groups: arts and crafts, stress relief, and physical activity and health lessons. While they both struggled with not being able to change the trauma and chaos of the people whom they served, Weiland and Chvilicek learned about how powerful the ministry of presence is, and how simple actions can have a big impact. “Anyone could have done what I was doing, but every single patient was so appreciative of what we were doing. It shows you how much being there with them means to them,” Chvilicek said. Originally published by Cliff Djajapranata at science.nd.edu on November 29, 2018.